What are Ultimate Pipe Bags ? 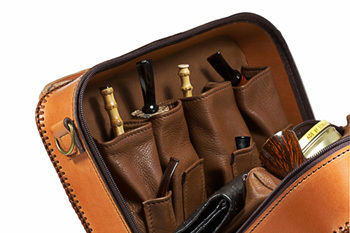 Ultimate Pipe Bags are simply the finest hand crafted pipe luggage in the world. I'm a pipe smoker and several years ago I searched far and wide for a pipe bag that would adequately suit and protect my pipes. Fortunately I was unsuccessful. IMy wife suggested that perhaps it was time to design and make my own. As I've always worked in leather I set out to do just that. I took pictures of my first bag and posted them to ASP (alt.smokers.pipes) and it sold in 36 seconds. Ultimate bags are made of leather with these exceptions; the stitching, which is 5 strand Braided Waxed Nylon or #138 poly, the Nylon Coil Zippers and the brass hardware. There are no fillers. The lacing is 3/32 inch Kangaroo, the bags for the most part are cowhide and buckskin. They are also available on a limited basis in other leathers such as bison, buffalo and bull. The entire bag is cut by hand and hand made. The interiors are machine stitched and the outer shell is hand stitched. 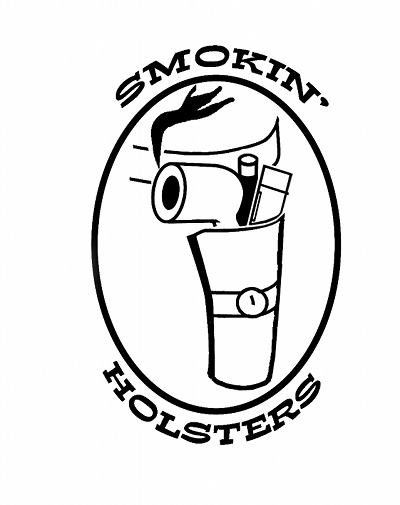 All Smokin Holsters pipe bags are designed to protect your pipes as they should be protected. The pockets are designed to expand and will hold two normal sized pipes in pipe socks when fitted bowl to stem in the pocket. 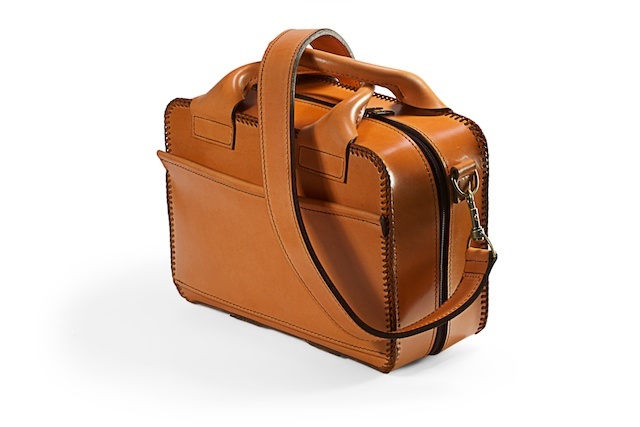 I've tried to capture the essence of the bags in the pictures shown on the site however leather is a very tactile product and you can't truly appreciate the bags without feeling the leathers. There is also a standard line of pipe bags, also made from leather but because of the materials used and the overall bag design, the bag warrants that the exterior sticthing be done on a machine rather than stitching by hand. All the pipe pockets and linings are done the the same way as in the Ultimate Pipe Bags. While these are also mostly made with cowhide exteriors, they are also available on a limited basis in other leathers such as bison, buffalo and bull. As with all my bags, discounts are available to multiple purchases by clubs and groups. Click here to see how a bag is made. All Ultimate Pipe Bags are signed and numbered. For general information regarding Ultimate Pipe Bags, use the links below. To see all the pipe bags available and ready to ship from Smokin' Holsters click here. Note: Leather is a natural product. All leather has it's own grain and natural flaws which will vary from product to product. Very often the flaws, in the form of scars, brands and the animals inherent growth pattern will naturally become part of the leather and the design of the pouch. We believe this adds to the uniqueness of every pouch and pipe bag we design in leather. All the leather we use, including exotic leathers such as snakeskin, bison, etc., have been processed for legal distribution in the US and Canada and is legal as an export product from the US. All of my leather is purchased through 100% legal sources and I use no products that are in any way considered endangered or protected.